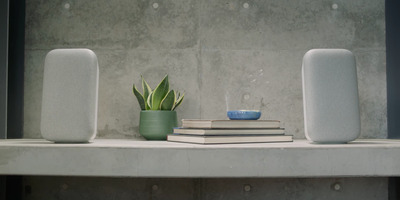 A few months back – a little over six, to be more exact –I tested out the Google Home Max, Google’s $US400 smart speaker. I’m not an audiophile, or an expert on high-end speaker rigs. Despite my best efforts, I can’t really tell the finite differences between one expensive speaker and another. Whether it’s from lack of ability or lack of education, I’m just not a connoisseur. What I am is someone who likes music (aren’t we all?) and six months ago, I decided to test the Google Home Max to see if it fit my criteria as a regular, music-enjoying person.It passed with flying colours.I loved the device, and to this day, it’s usually my answer when people ask me what’s the coolest thing I’ve tried. But love can fade. The thing that once seemed like the best, most exciting, coolest product in the world can, over time, become passé; even the coolest gadgets can lose their lustre. The point is, I didn’t expect to like the Google Home Max so much six months later – but I do. After spending several months with the device, here’s what I’m still loving about it. 1. The look and feel. 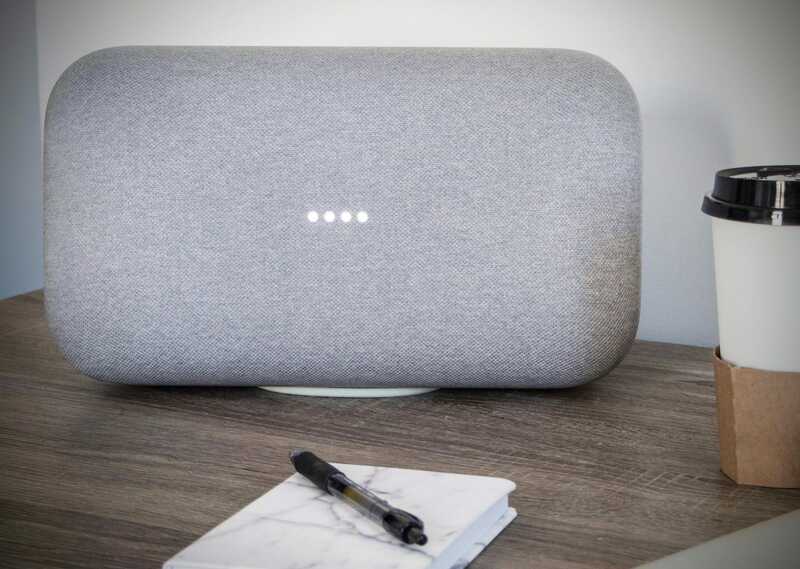 Look, the Google Home Max probably isn’t winning any awards for innovative design. It looks like, well, a speaker, and you can barely tell it has any “smarts” inside. And while we’re at it, there are better-looking smart speakers on the market – Apple’s HomePod, which is comparable in price, has a slightly more high-end look and feel. Because the Google Home Max doesn’t need the be the centrepiece of a room, it’s been a more versatile device than I was expecting. I’m using the chalk version, which is white and light grey, and it blends in well with the rest of my apartment. In six months of using the Google Home Max, I’ve found nothing to complain about when it comes to the sound. I’ve found that the way I most often use it is when I’m sitting down to dinner. As a Brooklyn apartment-dweller, my living room and kitchen are all one room, and my dining table is only a few feet away from where the device sits on my TV stand. Most nights when I’m sitting down to dinner, I’ll ask it to play an artist, album, or playlist – it’s become an automatic part of my evening ritual, especially because I can ask it to change the song or lower the volume without having to get up from the table. The Google Home Max works just as well during parties as it does during quiet nights at home. While there are downsides to using it during a party since guests can so easily request anything they want, the sound is impressive. The bass is deep without being too heavy, and I feel like I didn’t need to blast music – I can hear it just fine, even over the sound of dozens of people talking. 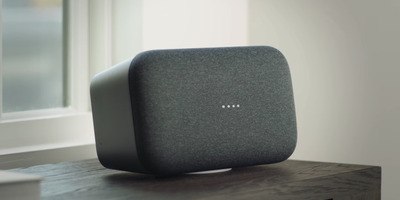 When I first started testing the Google Home Max, I was worried that its shape would have a negative impact on the sound quality. 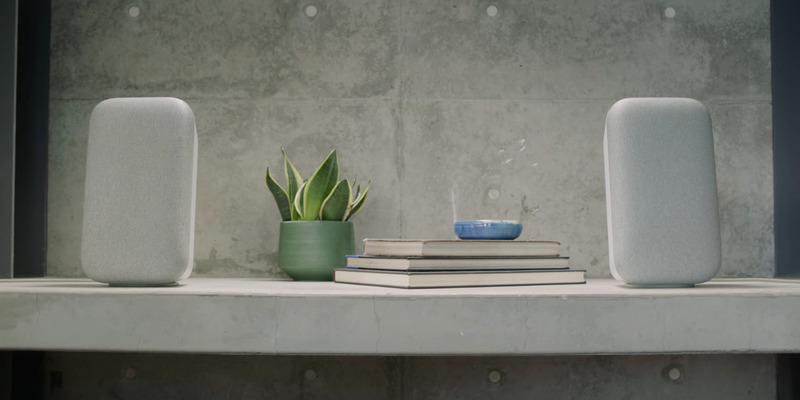 Its peers – like the Amazon Echo or the HomePod – have a cylindrical shape, which means that the sound is coming from all sides and not just blasting out the front of the device. But I haven’t found that to be an issue. The device sounds good to me whether I’m standing adjacent to it or squarely in front of it. That being said, I wouldn’t recommend putting it in the middle of a room – the sound is significantly muted if you’re standing directly behind it. One of the things that’s surprised me most is how easily Google Assistant has become integrated into my life. Before getting the Google Home Max, I didn’t think I needed or wanted a digital assistant inside my home. My main experiences up until that point had been with Siri on the iPhone and Amazon’s Alexa on an Echo Dot speaker, and in both cases, they never really became a part of my daily routine. But Google Assistant has been different, and I find myself using it several times a day. I most often use it to set cooking to timers, or for asking about the weather, travel times, what song is playing, or random facts. The next feature I plan to try now that I have two Google Home Minis is using Chromecast to play music in every room of my apartment. If you’re thinking, “This thing costs $US400 and that’s all she uses it for?”, that’s a fair critique. The fact is, that’s all I’ve needed it for – so far. 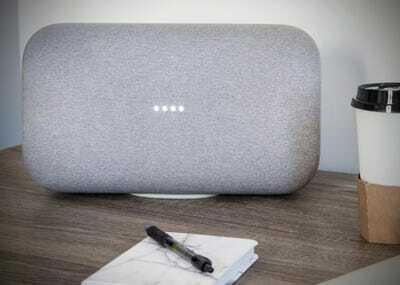 The Google Home Max has tons of other features, but I don’t have a smart home so it can’t control my lights or thermostat, and I prefer a physical planner over a digital calendar, so I don’t review or create appointments using the device. Everyone uses smart assistants differently and places different valued on convenience, and so far, these features are the most important to me. If I have one complaint about the internal smarts, it’s that Google Assistant is easily triggered by my TV. Its lights will illuminate almost every time I have my TV on, and for words that sound nothing like “Hey Google.” It’s not a deal-breaker, but it can be annoying. There are a few things I still don’t like, however. That I had to switch to Spotify. Spotify is all well and good, but I was an Apple Music user before I started using the Google Home Max. I still prefer Apple Music over Spotify, even after taking a few months to get used to the change. 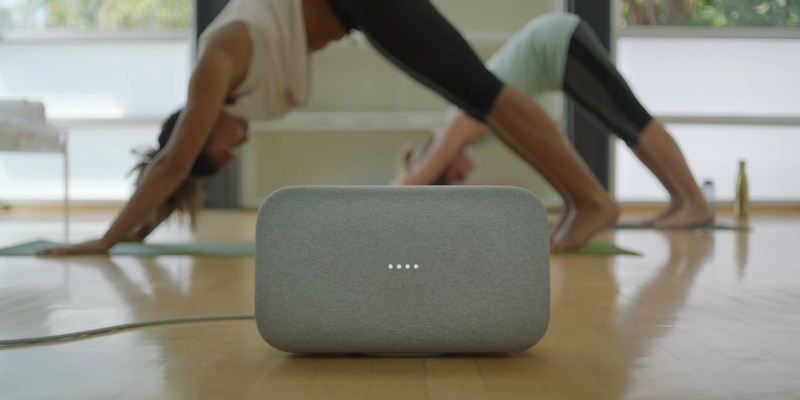 The Google Home Max will work with Apple Music, but you won’t get the full functionality. If you stick with Apple Music, you’re basically turning your Google Home Max into a glorified Bluetooth speaker, since you’ll only be able to control your music from your phone. 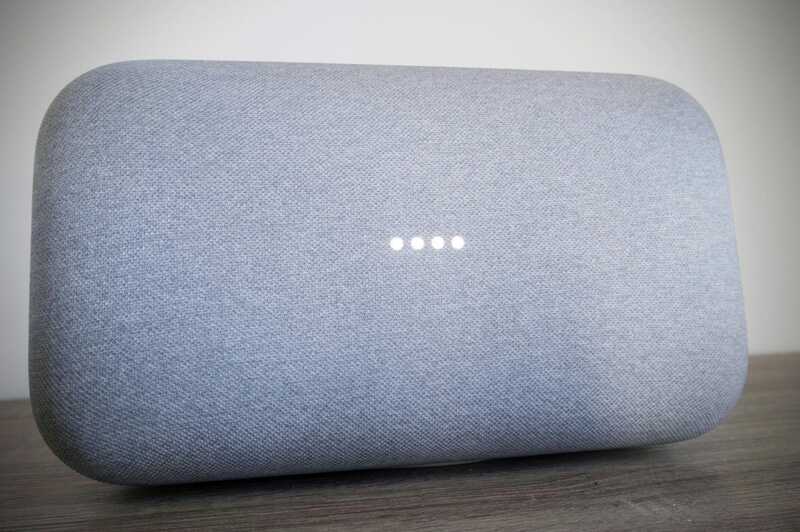 That I can’t use the Google Home Max as a sound bar.When I moved into a new apartment, I was hoping to try using the Google Home Max as a sound bar since my TV is almost four years old and the speakers are way too quiet. Unfortunately, that’s not a possibility with Google Home Max. You can link your speaker with your TV if you have Chromecast device or a TV with Chromecast built in, which I unfortunately do not. Having to buy a separate sound bar is a little disappointing – not to mention expensive.